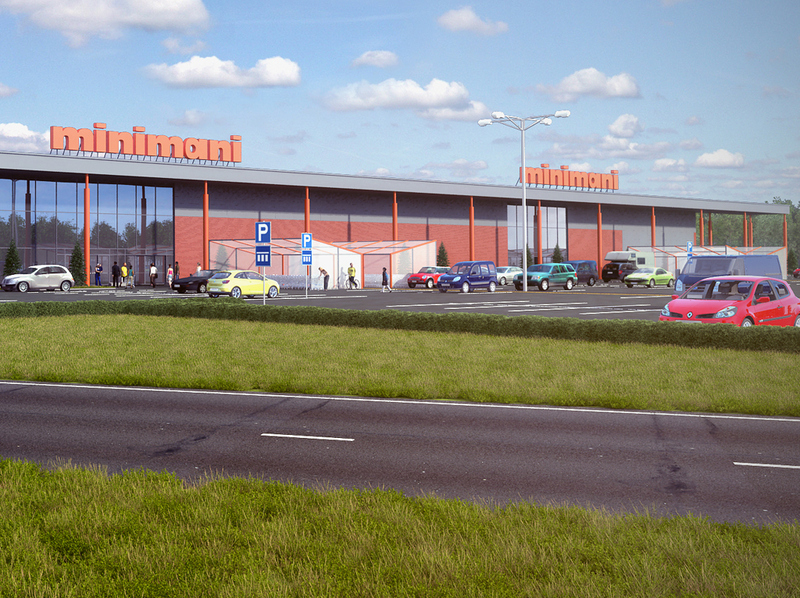 A visualization of supermarket building for Minimani chain. 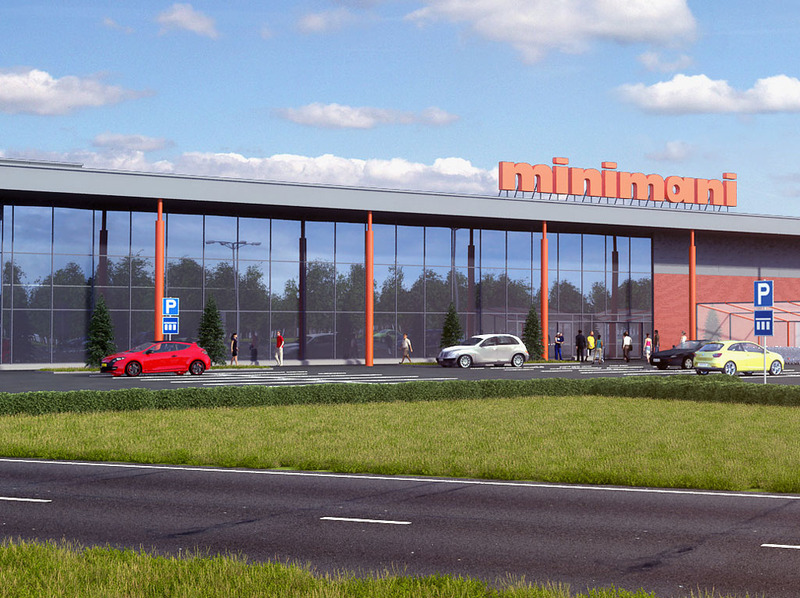 Hot snow created the visualization of rapidly growing in Finland retail shop network Minimani, held by concern Tokmanni. 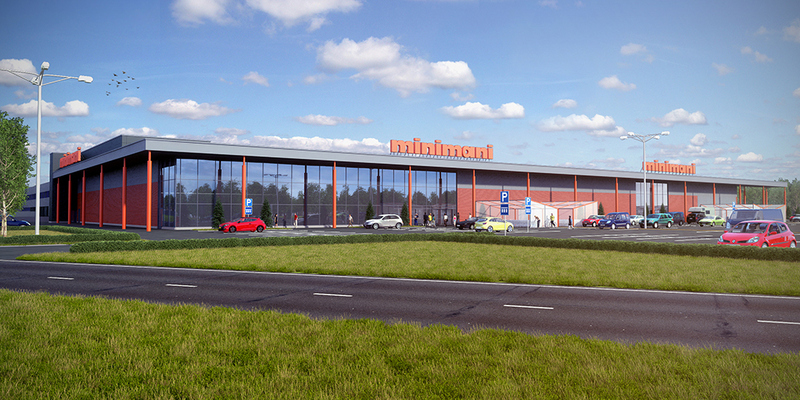 This work was provided as a renderings of architecture project made by Arkkitehtitoimisto Jääskeläinen Architectural agency. Supermarkets are usually hard subject of visualization, but Hot Snow Design made this job with high level of professionalism.